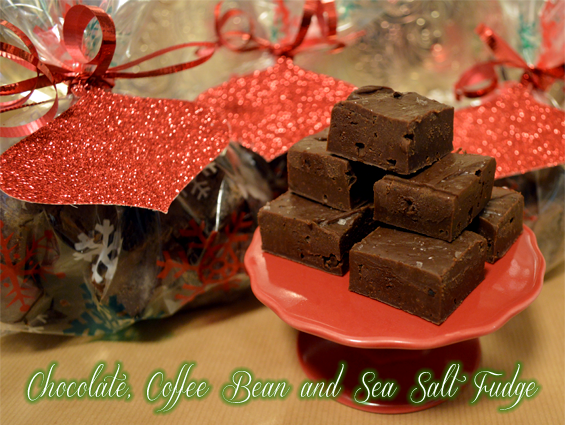 Last Minute Love - Easy Chocolate, Coffee Bean & Sea Salt Fudge Recipe - Sugar, Darling? Hi guys. 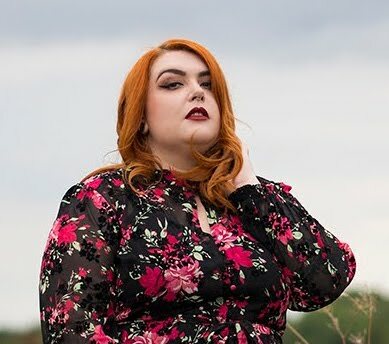 Now I have been told that I'm pretty ridiculous in the fact that I start my Christmas shopping in about October, but my worst nightmare is if I was having to run around the week before the big day trying to find something meaningful for my friends and family and ending up giving them toiletry sets and socks. Despite this, there are always some people that you weren't expecting to see that you need to be able to give a little something to so I like to have a few bags of something delicious and home made on hand to give to anyone who I think deserves a special little sweet treat! This year's recipe actually came about as a recipe I was going to make just for one friend, but it was so delicious and easy to make that I've ended up using it as my little go to gift too. It's really easy to make and relatively cheap, and you can change the flavour profile as you need so if you're recipients don't like coffee just swap them out for chopped nuts or cocoa nibs or popping candy, or just leave it out altogether. 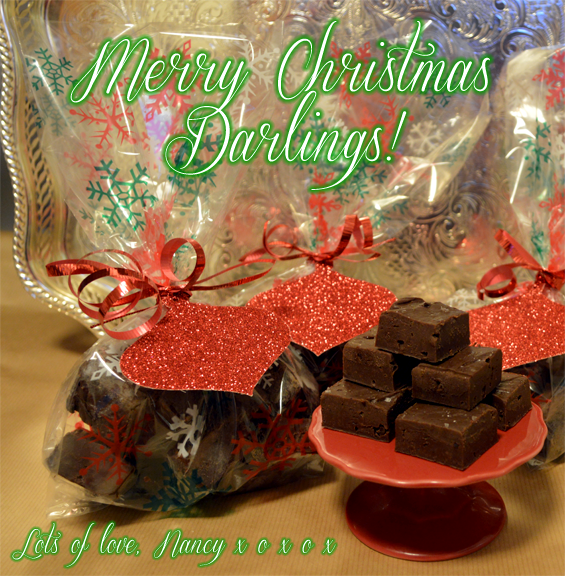 This recipe makes four generous bags of fudge, and even if you can't get the pretty Christmassy bags that I've used a normal sandwich bag jazzed up with lots of ribbon and a tag will do just fine too. Get yourself a dish, baking tin or tray that is at least one inch deep and is approximately 12" x 7". This really doesn't have to be exact as it will just affect how thick the fudge is and how you will need to cut it to getthe amount of pieces you need. Line the tin with a double layer of cling film which overlaps the edges of the tin so that it can be folded over to cover the fudge when it's finished. Set to one side. Make yourself a bain marie or double boiler by placing a metal bowl over a saucepan of simmering (not boiling!) water. Add the condensed milk, chopped chocolates, butter and vanilla exract to the bowl and heat, stirring constantly, until it's all smooth and melted together. Now stir in the crushed coffee beans and most of the sea salt and pour into your prepared dish. Spread it out as evenly as possible and if you haven't got an easily breakable dish give it a few taps on the work top to make sure it gets into the corners evenly. Sprinkle with the remaining sea salt flakes and pop into the fridge to set before cutting it into bite size pieces and packaging it up all pretty and present like.